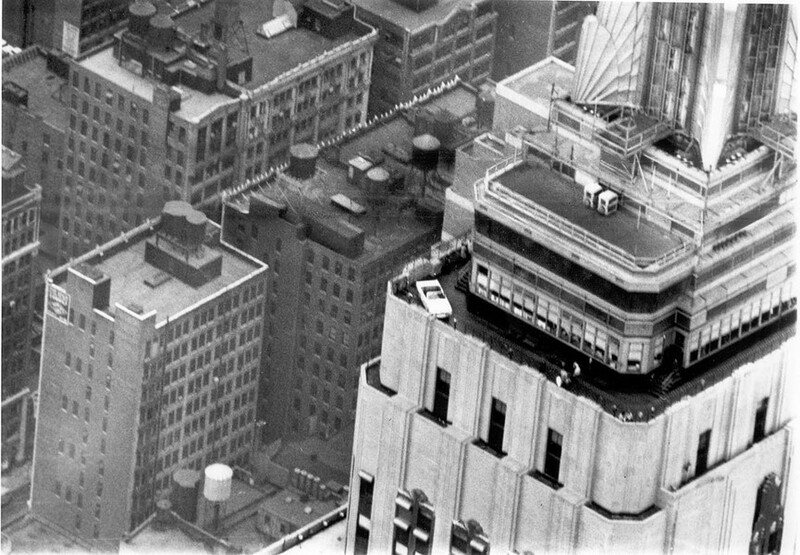 Remember that time they put a Mustang on the Empire State Building? Mustang will celebrate its 50th anniversary next spring, and Ford is planning plenty to celebrate. The Ford executives are said that they will draw on the considerable history of the car! Quite what that means nobody seems to sure, but I can’t wait! 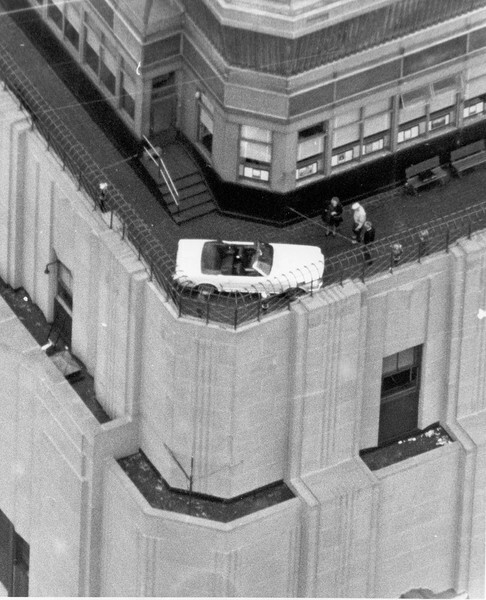 In 1966 the guys running the Empire Empire State Building wanted to generate some hype, so they contacted marketers at Ford and worked out a deal to position a brand-new Mustang on the rooftop of the building’s 86th floor. It was a clever move on their part – the Mustang had debuted in 1964-and-a-half to much acclaim, selling more than 400,000 units (well over the projected 100,000 on the original business plan) to become the fastest-selling new car of all time. In the first 18 months of existence it sold more than 1 million cars. The project came with some challenges, as you might expect. 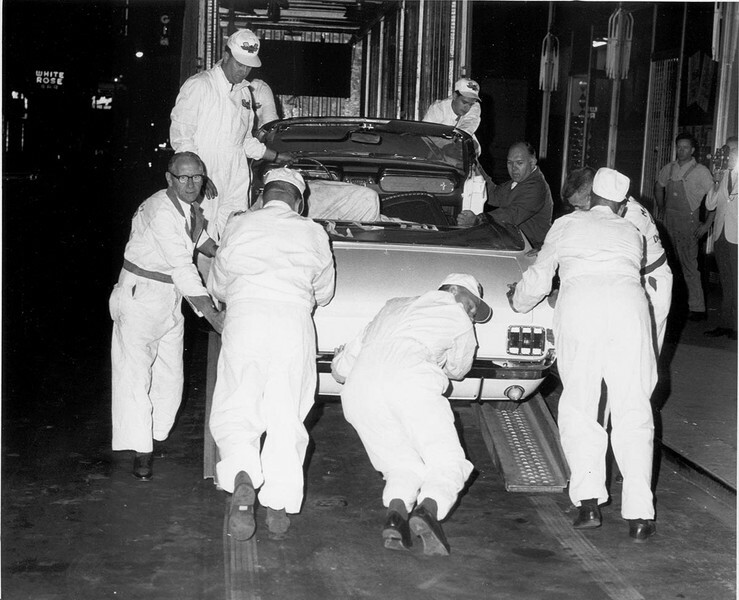 Namely the fact that the curve of the roof prohibited a helicopter from landing safely, which meant engineers had to dismantle the car, push it up through the elevator and then reassemble it on top. So the company sent a crew to New York to take measurements of the stairwell and elevators before returning to Detroit to figure it all out. 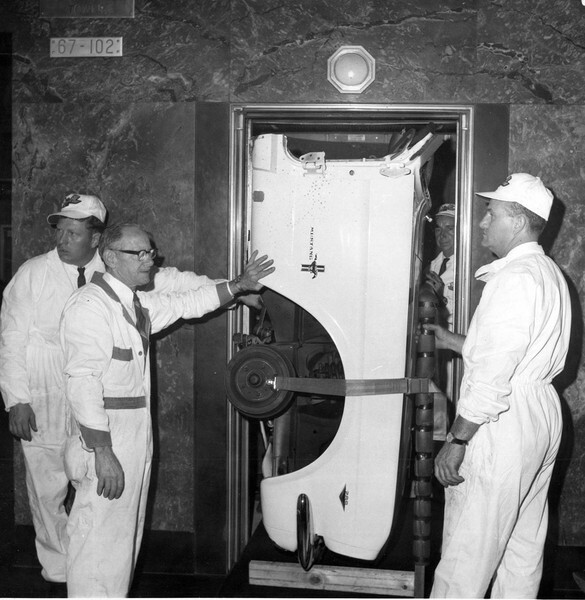 They had to fit the 15-foot white convertible into seven-foot tall elevators, so they cut the body into four main sections: windshield, front end, center body and rear. 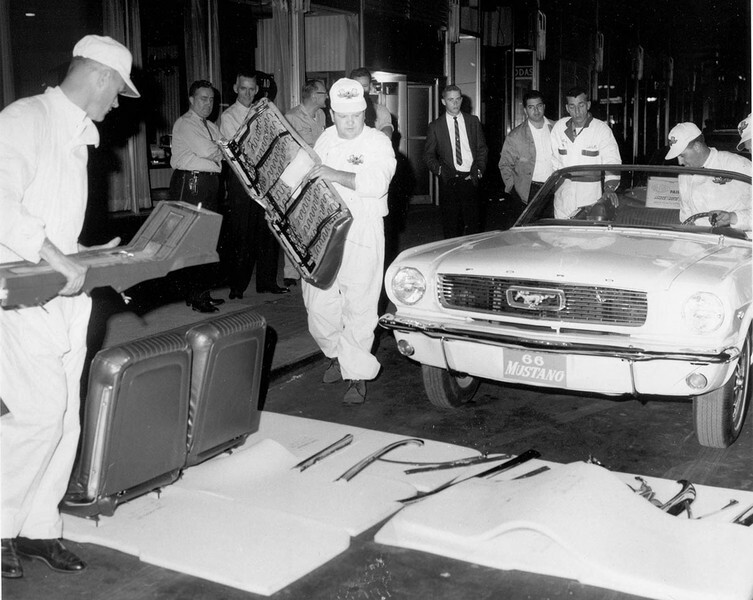 Then they removed the front seats, center console, doors, engine, transmission and drive shaft. 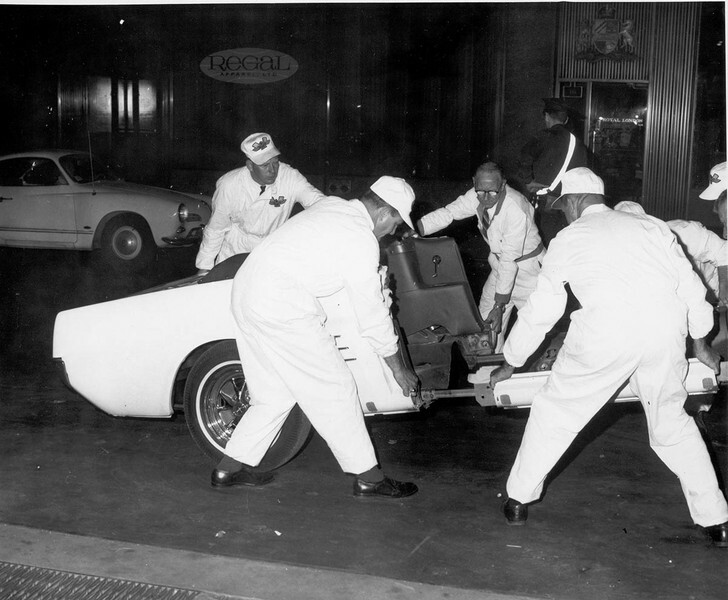 They also cut out the floor pan and the base of the windshield frame before fitting a series of sliding brackets onto the body in order to hold the car together during reassembly. The best part? They did it in six hours overnight and for the next five months mid-century New Yorkers got to wake up with a Classic American Icon smiling down at them. 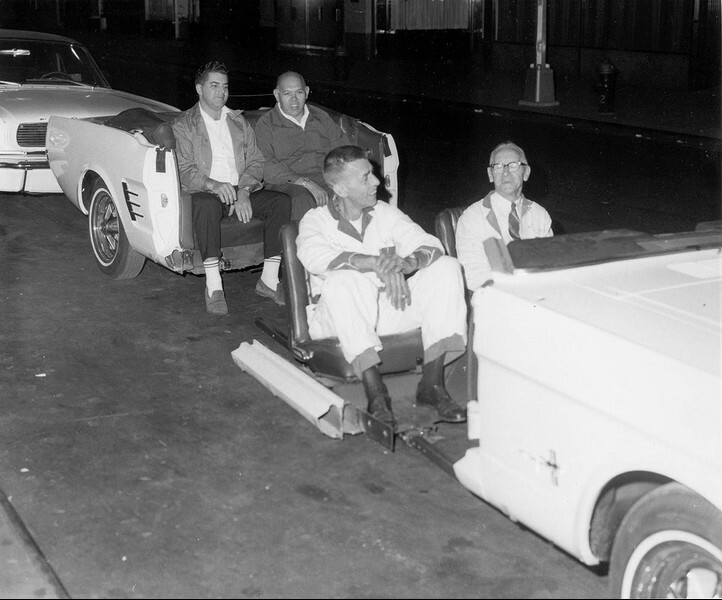 Thanks to the Ford Motor Company for sharing these timeless photos.